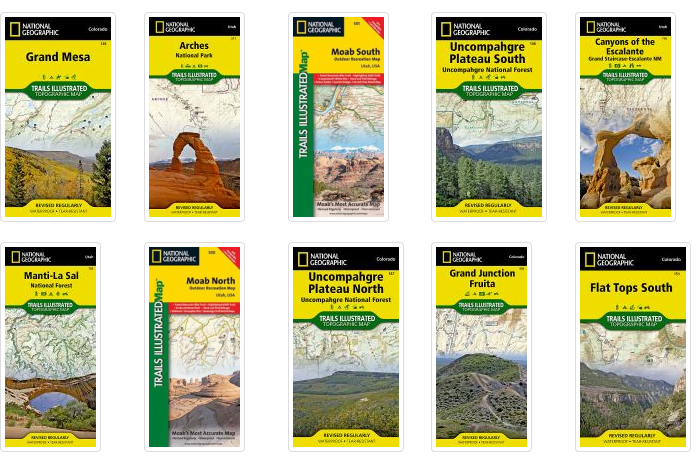 Good news for all outdoor lovers – the Central and Fruita libraries now have regional National Geographic Trails Illustrated Maps for checkout! We’ve got many different western Colorado and Utah locations, including Arches, Grand Mesa, Uncompahgre and much more. These maps are waterproof, tear resistant and thoroughly researched to make sure all roads and trails are up to date. Maps include topographic information, points of interest and navigational aids. These maps will check out for 3 weeks, and can be placed on hold in our catalog. Speaking of the great outdoors, don’t forget we also have Colorado state park passes available for checkout!